An attractive holiday and second-home destination, Botafoch (Talamanca) is located on a sheltered bay on the east coast of Ibiza. It is a popular area that is very well known for its long white beach and ideal location with the proximity to the upscale nautical port of Marina Botafoch and Ibiza Town. A Botafoch property is the prime location for making the most of luxury living with a beautiful backdrop. There is also a good selection of nice properties in Talamanca, including penthouses and villas. These luxurious homes are located just a few steps from the beach, and offer magnificent views of the deep blue Mediterranean Sea and the charming old town of Dalt Vila. For instance, the prestigious residence ”Es Pouet” offers luxurious flats, mostly with private swimming pool. With its idyllic location, it is a real jewel amongst the exclusive properties of Ibiza. Botafoch property market prices are above the region’s standard. The average price for an apartment in the area is around Average price per sqm. in Botafoch/ Talamanca €7,387 0% properties#: 337 last change on: 23 Apr 2019 €7,387 per square meter and for a house, it is Average price per sqm. in Botafoch/ Talamanca €6,530 0% properties#: 55 last change on: 23 Apr 2019 €6,530 . For investment opportunities, the current average is Average price per sqm. in Botafoch/ Talamanca €7,483 0% properties#: 18 last change on: 23 Apr 2019 €7,483 per square meter. Views of the sea adds extra value to a Botafoch property. The most renowned real estate agencies in Botafoch property market are Ibiza Agents and Estela (Christie’s) with more than 70 listings in 2017, followed by Luxury Villas Ibiza and ImmoAbroad with a significant amount of listings in the present year as well. The long sandy beach of Talamanca is one of the most beautiful on the island. It is well-known for its picturesque views of the bay and turquoise sea. This is a relatively quiet resort comparing with other lively areas on Ibiza. A nice spot to get away from the boisterous crowd. And, its shallow waters are ideal for swimming and practicing water sports. This is a fantastic second-home location if you want to be close to the best nautical services. Also, you will have a chance to be part of the unique lifestyle around its port area during your time in Ibiza. The narrow peninsula of Botafoch is just a short walk away from Talamanca. It is a home to the main ferry terminal and to the lighthouse that marks Ibiza’s easternmost point. This way, it has become a central spot for celebrations with hundreds of people gathering here to watch the first sunrise of the New Year. 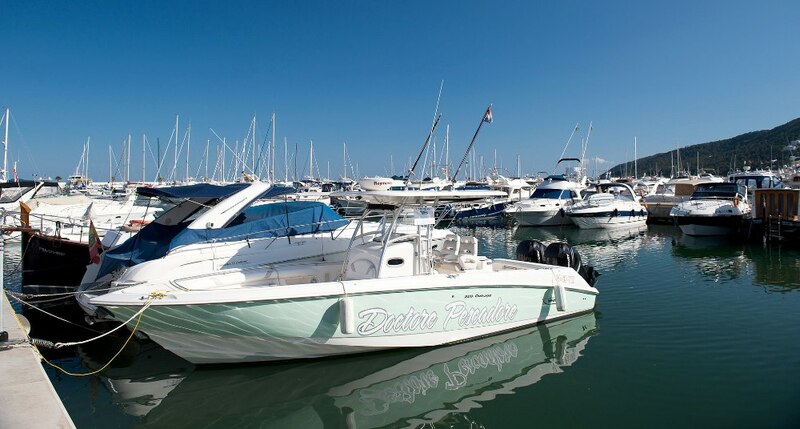 Marina Botafoch is one of the most upmarket marinas on the island, offering a complete range of nautical and commercial services. Notably, it hosts the most beautiful luxury yachts. In summer, it also features a wide range of top restaurants, cafes, and trendy boutiques. 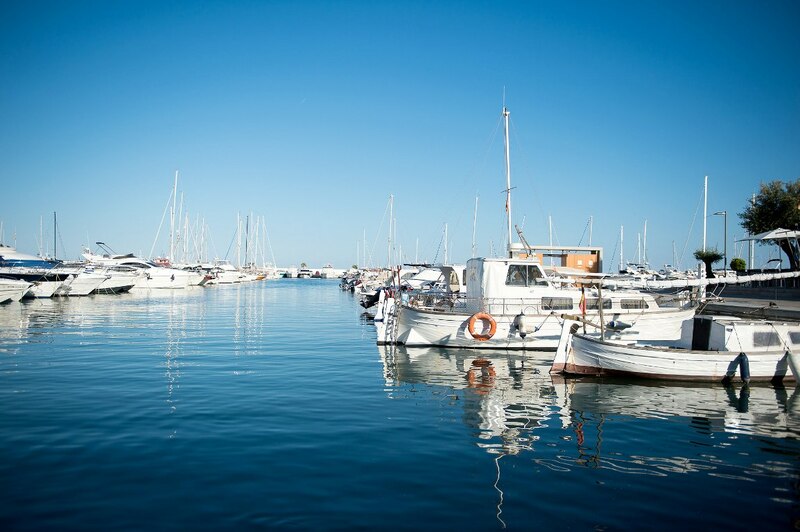 Just a stone’s throw away from Botafoch also lies the brand-new yacht port of Marina Ibiza. This luxurious marina combines elegant design with functionality and provides high-class facilities and moorings. In its area, you also find the glamorous restaurant and cabaret club Lio, The Casino of Ibiza, and the legendary Pacha nightclub. Located just a five minute walk from the beach and a few minutes away from the most famous clubs and bars in Ibiza municipality, Botafoch is one of the most attractive residential areas. Its luxury apartments and villas, also boast amazing views over the harbor and the Old Town. A pleasant walk along the promenade of Paseo Maritimo to the Ibiza Town is certainly a highlight of the area. 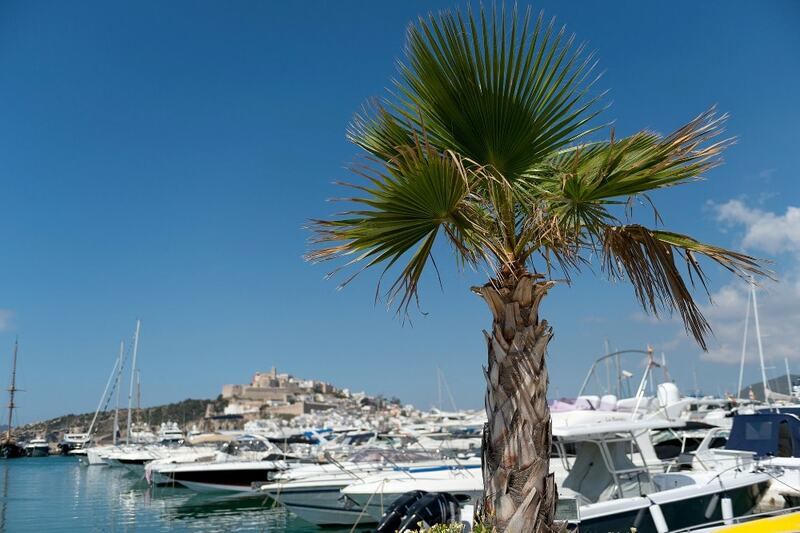 The boulevard is lined with gardens and palm trees and offers beautiful views over the walled front of Dalt Vila and luxurious super yachts on both sides. This way, you also get to the commercial area with ample terraces, lounge bars serving cocktails, and the best chill out music. Or, you can also easily catch a ferry to the town, which operates regularly until midnight. Ferry services run from Marina Botafoch to all parts of Ibiza. This is a favored way to explore quieter areas of the island. The residential areas are conveniently located very close to the Ibiza airport, which is reachable just in a 10-minutes’ drive. A variety of services for the visitors and residents such as business zones, hospitals, and international schools are also in a close proximity. It can be seen that the area of Talamanca is an ideal second-home location. Especially for those property buyers, who on the one hand would like to live in a tranquil setting with its wide sandy beach offering relaxation, but on the other hand, be very close to the vibrant nightlife of the Port and Ibiza Town. Marina Botafoch area has an outstanding central location where all the action takes place. Yet, the both neighborhoods boast high-quality properties, offering an unbeatable value for money and stable real-estate investment opportunities.